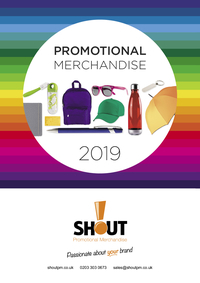 Shout Promotional Merchandise supplies innovative promotional products to marketing managers. By truly understanding your company’s culture, brand and values, we can source and recommend quality products that are specifically tailored to your marketing campaigns. We see our products as the missing piece in your marketing puzzle, and we pride ourselves in offering excellent customer service along the way. The company was set up by two friends - Carrie Benn and Francina Stobart just under 11 years ago, as they wanted part time work to fit in with looking after their small children. 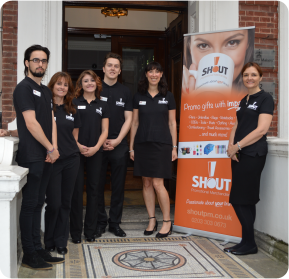 Shout has gone from strength to strength and is now employing 9 people and working with clients such as Microsoft and the BBC. We do the leg work for you. With weekly e-shots featuring innovative product ideas you will see that we are at the forefront of the promotional merchandise industry. Our sales team will also put together a personalised presentation in a format to help you communicate your ideas to your team. A stress free service. Our policy is to ensure that you do not have to chase us for information about your order, our aim is to keep you up to date throughout the process until delivery of your goods. You are appreciated. We ensure that our existing customers are made to feel special and that we appreciate their business, so we often send out Shout branded gifts. We offer more than just promotional merchandise. In a competitive marketplace – we have to offer you more. Therefore, we often go the extra mile, we will even come to your offices to wrap your Christmas presents for you, or you can send collateral to us to be packaged and sent out all over the world.